Arrowhead is a coastal Carolina golf course community located along SC 501 just 6 miles west of Myrtle Beach, a mile from the Intracoastal Waterway, and 5 miles from Myrtle Beach International Airport. As an affordable residential area along the Grand Strand, Arrowhead attracts “native” South Carolinians as well as “transplants” as residents. Arrowhead is distinguished by diverse communities situated on and around the world-class Arrowhead Golf Course. The lushly landscaped course extends throughout the community adding that "resort living" touch to homes and condos. Arrowhead Golf Club also offers residents membership packages that are competitive with other golf memberships. This video will highlight golf options. Arrowhead Grand is just one of the lovely neighborhoods within the Arrowhead subdivision. These luxury homes are set on the golf course and the Intracoastal Waterway. 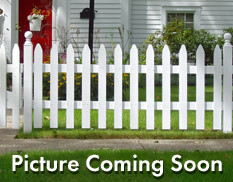 Buildable lots as well as established homes are available for purchase within this gated community. Arrowhead is a great neighborhood with an ideal location! Regardless of the specific site you choose in Arrowhead, you will be close to Tanger Outlet, grocery stores, Grand Coastal Mall, Myrtle Beach, and SC 31, a six-lane highway that connects Little River to Murrells Inlet. Arrowhead residents can take advantage of all of the Grand Strand attractions in addition to the Arrowhead amenities. Average prices of homes in Arrowhead are in the $75,000 - $250,000 range making this an affordable community that maintains its property values. This 3BR/2.5BA home sits on a heavily hardwood treed .28 acre lot in the mature Arrowhead subdivision. 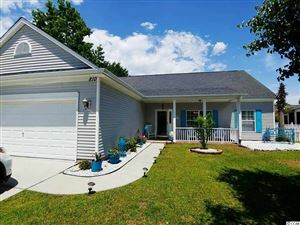 The home features many upgrades including hardwood throughout, smooth ceilings, irrigation, screen porch, white on white kitchen, stainless refrigerator, upgraded lighting throughout including recessed lights, 3rd bay garage/workshop, and ceramic tile in all the bathrooms and utility room. The Arrowhead subdivision offers residents a great recreation center including tennis, pool, and playground. As the top selling real estate agency along the Grand Strand, RE/MAX Southern Shores agents can assist you with purchasing a home that is suited to your needs in Arrowhead. RE/MAX Southern Shores’ reputation has been built upon unsurpassed customer service skills and long-term client relationships. RE/MAX Southern Shores agents focus on YOUR wants and needs related to the home buying/selling process. Contact RE/MAX Southern Shores at 843-839-0200 regarding any of the Grand Strand MLS listings including Arrowhead. One of our expert agents can assist you every step of your real estate search by providing you with detailed information for any property listed by any agency on the Grand Strand. Best of all, RE/MAX Southern Shores services are provided at NO COST to you as the buyer for every property listing in the Coastal Carolina Multi-List. If you have a request with specific criteria for your new home in Arrowhead or anywhere on the Grand Strand, use the search features found at this website or call RE/MAX Southern Shores today at 843-839-0200 to speak with an experienced agent about your real estate dreams!